As a savvy small business owner, you understand how important it is to focus on sales and marketing. Even if you don’t feel like you have this crucial business discipline wired yet, it’s at least on your radar. 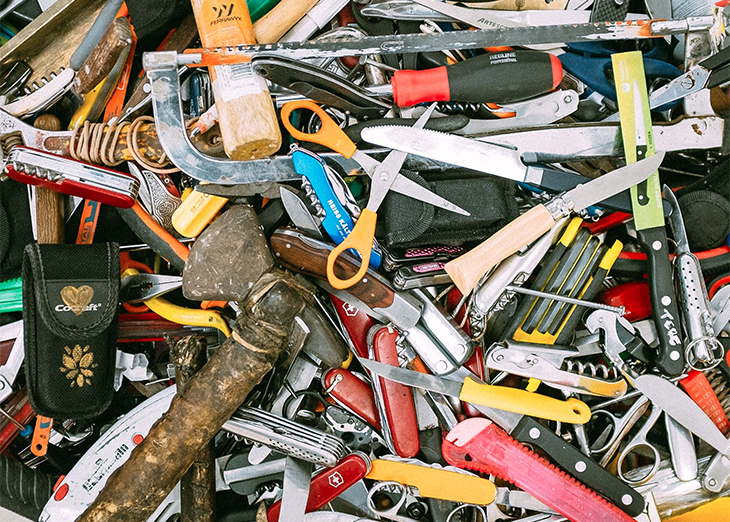 But even though you are focused on marketing, you many have overlooked certain “tools” that could add some real juice to your marketing results. Today, let’s focus on one of the biggest: social media. Done right, social media marketing can be a business booster for small companies like yours. But what’s the operative phrase here? You guessed it. “Done right”. The goal of this article is to give you some practical, easy-to-implement tips that can help you do social media marketing right for your small business. Now social media is a small (and big) business hot topic. There is a myriad of options you can choose. And the current mania seems to be to try the latest social media or digital marketing tool just because it’s cool or the latest thing. Before we go any further, I have one word of advice about this: Don’t! Do not choose a social media platform, or any marketing tool, just because it’s popular. Likewise, don’t discard what’s working for you just because it’s “old”. Work from a well-designed, comprehensive marketing plan that addresses every aspect of your marketing efforts. And plan for, analyze and research every choice you make regarding social media platforms for your business. Some social media platforms will be wrong for your business. Think about it. If you have a small distributorship that sells industrial machine parts to manufacturers, do you think you are going to find much of an audience on Pinterest, a platform on which 80% of the visitors are women between the ages of 25-45, many, if not most of whom are on the site for hobby, craft and lifestyle-related interests? If you sell arts and crafts, do you think you will find much of an audience on LinkedIn, the world’s largest social media site for business professionals? Is my business focused on Business-to-Business (B2B) or Business-to-Consumer (B2C) marketing? What products or services do I sell? What is the age range and predominant gender of my audience? Do they prefer visual or written content? Is the scope of my sales and marketing local, regional, nationwide or larger? Mapping out your buyer persona can help you answer all of these questions about your audience. Even though you may never meet your social media audience members in person, you still want to develop a relationship with them. Relationships are a two-way street. There is give and take. So don’t just blast out content; don’t just “talk”. Use social media to listen to your audience. Approach the relationship with a generous attitude of giving. Give value to your audience with no conditions, with no expectations or demand that they give anything to you in return. Here’s a thought to consider: give enough in a spirit of sincere generosity, and you will get. Big time! 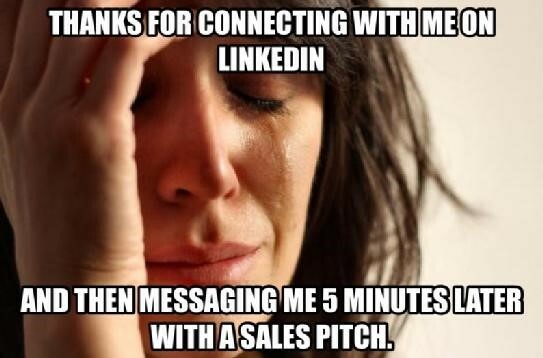 Here’s a huge social media no-no, especially on LinkedIn. When you connect with a new person, don’t immediately spam them with a request to buy your product. Of course you hope they will buy from you one day, but don’t ask them right away. Build a relationship first. Add value to this relationship. Maybe, down the road, you can approach them in a low-key manner about buying from you. Here’s a great way to add value on a social network like LinkedIn where you have connections with specific individuals, not just followers. Once you have a network built up, look for situations where you can introduce members of your network to each other for their benefit. This is powerful! You serve them unselfishly. They can benefit from the introduction, assuming you introduce the right people to each other. They will remember what a nice thing you did for them. Everyone wins! Remember that social media doesn’t exist in an online marketing vacuum. It needs to be integrated with other parts of your online marketing. Put a link to your email signup/content download page on your social media profile or company page. Make it easy for readers to share your latest blog article on their favorite social media sites. And remember that you want your website to be your online marketing hub. Make it your goal to use social media to drive traffic back to your website. Once the traffic is there, work on converting it into leads and ultimately sales. Don’t disregard this last step. In social media marketing, it’s easy to get caught up in vague, fuzzy notions like “engagement” or awareness. I’m not saying these don’t matter. They do. But the ultimate goal should be to impact website traffic, leads and sales. So along these lines, focus on what matters most. “Views”, “likes” and “shares” are nice. But they don’t pay your bills. Sales pay your bills. And effective social media marketing can help you make sales. One more thing: Once you have all of those leads, you need a proven tool that can help you turn them into customers and raving fans. Find out more here.